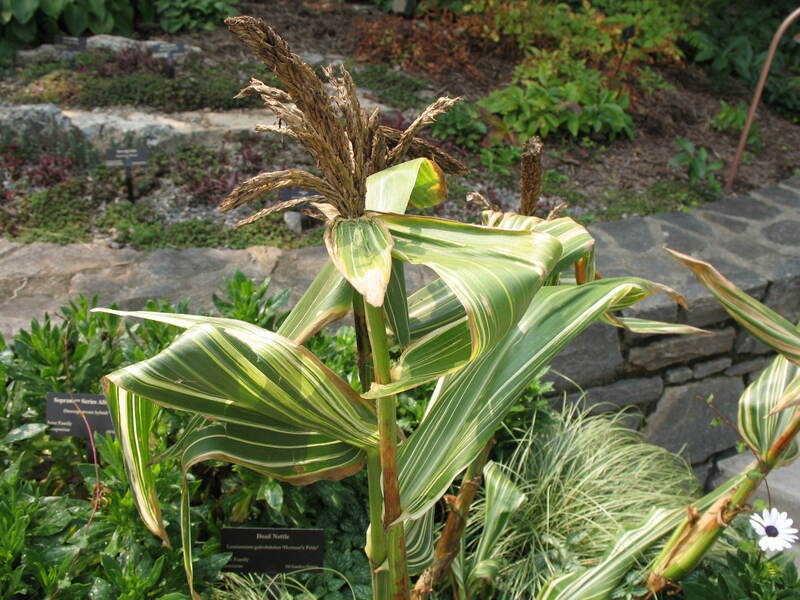 Comments: This is an ornamental sweet corn that produces striking variegated green and cream-colored foliage during the warm season of the year. The tall stalks can be an accent in beds where flowers are growing. Provide a fertile, well drained soil and full sunlight to grow ornamental corns.